Bulk ordering custom shirts can greatly benefit a business in a few different ways. A custom shirt is a creative way to promote a company as it’s a walking advertisement. They can also be used as a promotional device for marketing purposes. Ordering custom shirts in bulk are cost-effective because of the price breaks businesses can receive. This is one of the many reasons why bulk ordering custom shirts are popular with companies. These are some of the advantages of ordering shirts in bulk. There are a variety of ways for every businesses type to utilize custom shirts and raise brand awareness. Shirts with a creative design are appealing to potential clients and demonstrates a company’s brand. Clients appreciate the creative touch when given a customized shirt. The simple gesture of giving a custom shirt helps potential customers remember the company brand. Planning a large event requires sponsors to help fund the event. Offering to put a sponsor’s logo on a custom shirt helps mitigate event costs. This becomes an enticing advertising opportunity for potential sponsors. Potential clients attending the event will enjoy receiving free shirts. 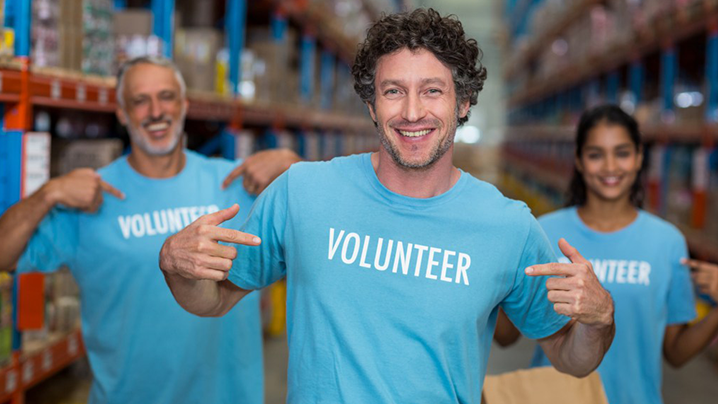 Employees and volunteers typically keep their shirts as a reminder of the event which means a companies’ brand will be advertised for years to come. Generating new leads for companies is typically one of their business focuses. One method for attracting new clients is a promotional giveaway. Offering free shirts at an event or grand opening will bring new customers and potential business. “The best things in life are free” and a free shirt best exemplifies that quote. Crowds are enticed by free giveaways and this allows businesses to find creative promotions for their customer base. To anticipate customer demands for free shirts, it is best to order them in bulk. T-shirts are a great way to commemorate a community event. For example, shirts can be used to promote school spirit at a university. University students especially like to demonstrate school pride at sporting events and rallies. Events like church gatherings and family reunions are a creative way to commemorate an event. Attendees like to wear shirts from these social gathering as a reminder of the event and to showcase the community they identify with. These communities may have a large number of members so it’s important to order shirts in bulk to accommodate everyone. Ordering a shirt with a custom design is one of the best ways to stand out from the crowd. Companies may only order a small batch of shirts in case they are unsure about how it will appear. Selecting the right embroidery company will ensure the best prints are applied to every shirt in the order. Samples are often provided to the company to approve the final order. A professional embroidery service can ease a businesses mind by providing the best looking orders. Companies do not have to order a small number of shirts since they will receive high-quality orders, every time. Being able to order in large quantities lowers the overall costs of the order as there are price breaks for certain amounts. Caribbean Embroidery is South Florida’s premier shirt and embroidery service. The quality of our service is second to none because of the state of the art techniques we use. No matter the event or use, we can print and produce a small or large amount of shirts. Contact Caribbean Embroidery today at 1-786-865-9097 for a bulk shirt order quote.